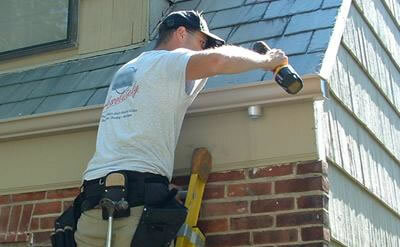 Installing and maintaining gutters is important for your home, as gutters keep water away from your foundation. With over 20 years of experience, T-C Seamless Guttering has the expertise and tools to install and maintain your gutters at a fantastic price! Without properly installed gutters and downspouts, a foundation will show premature wear and potentially allow water inside causing extreme damage to your home and your wallet. Our expert gutter installation service in Hastings can prevent a host of problems that come with improperly installed gutter systems. Whether your gutters were damaged in a storm or you just don't quite like how they bring down the overall look of your home, we have you covered! Ready to take the next step? Request a free, no commitment estimate.